In our materialistic, time-crunched society, lifestyles are compromised by disorganization and clutter. In a 2008 National Association of Professional Organizers survey, 65 percent of respondents noted that their household was at least moderately disorganized, 71 percent said their quality of life would improve if they were better organized, and 96 percent of respondents indicated that they could save time every day by becoming more organized. A survey by IKEA reported that only 11 percent of Americans know where their Social Security cards are. Unfortunately, the problem has gotten so out of hand for so many, they have no idea where to begin. 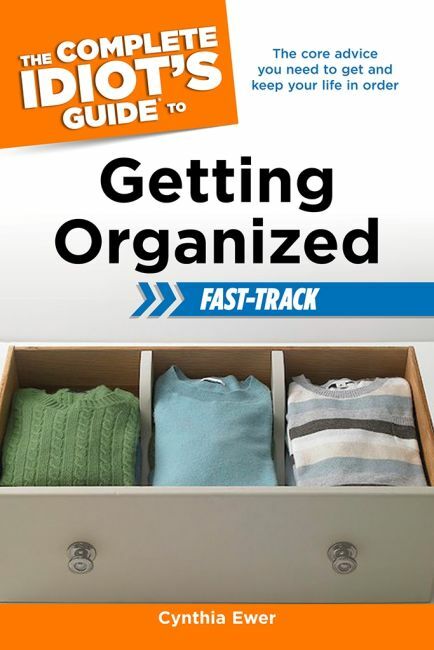 - The principles behind effective organizing that can be applied to any situation in the home or office. - A plan for clearing paper clutter and putting important documents where they can be found. - Commonsense thoughts on prioritizing and letting go of objects that are no longer useful. - A system for categorizing possessions that does not require people to buy more stuff to organize the stuff they already have. - Tips for tackling disorganization hot spots, including home offices or dens, kitchens, closets, master bedrooms, garages, attics, and basement areas. - Advice for staying ahead of messy family members or coworkers who can undo a person's hard work in an instant.